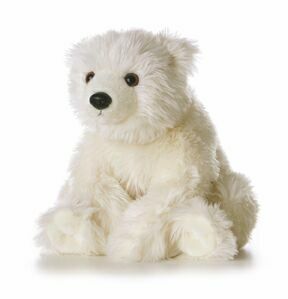 Who Doesn’t Love Zoos Selling or Gifting Logo Branded Stuffed Animals? Does BRAVA Marketing Have ALL the Logo Branded Stuffed Animals You Could Ever Invest In? You should see for yourself right here. Lions, tigers, bears, snakes, penguins, peacocks. You name it. They’re all stuffed, and they all can be branded in the establishment’s name. And right then and there…. You have instant inventory for your stores. The good thing is flexibility, obviously. You can price the products any way you choose, and when you’re low on inventory — invest in more! Especially if you track the traffic and interest in certain products. Obviously the audience would be the kids. They love zoos. They love petting zoos. They love anything that has to do with animals. And even better…. You might have certain exciting animals that you know have names to them. Names kids can identify with, and of course you can brand those logo branded stuffed animals specifically in those names! Whether it’s a gorilla…. Or a dolphin…. Or anything. Kids make that connection, feel like they’re a part of the family that a zoo brings to all. Zoos are an American pastime. But to keep them going, you need some focus for ROI to pay for all of it your animals require. Enter: BRAVA Marketing. We Can Do That for You. All you need to do is check out all the selections we have, find the ones you like, and then contact us immediately to get you started on a true potential revenue source. Because families in your town need zoos. In many ways, it’s the only way families can experience nature at its purest.